The reverse side of my handout lists the major elements of early Comintern strategy, specifying when each element was adopted. You see the main components: the Soviet model of workers’ rule, the role of a revolutionary party, and the process through which it can gain social hegemony: alliances with oppressed peoples and social layers; unity with non-revolutionary forces. The generally held model of authoritative Bolshevik leadership in the Comintern breaks down in the Third Congress. That helps explain why Stalinist authorities shut down their edition of Comintern proceedings when it came to the Third Congress. Its editor, Bela Kun, was shot. Pathfinder too had a completed Third Congress manuscript and decided not to publish it. They did not execute me, but they broke off relations. I found a new publisher and recreated the manuscript from scratch. 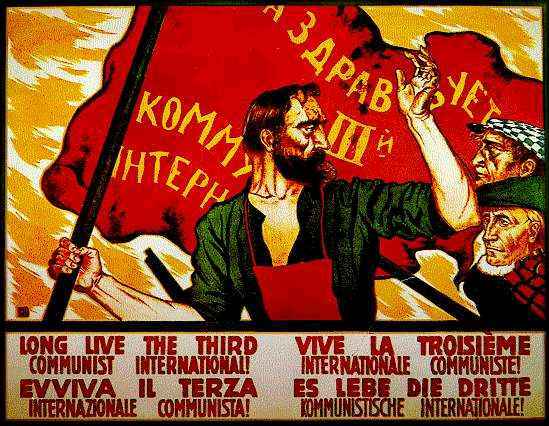 The Third Congress crisis also reflected a breakdown in Comintern centralism – that is, its ability, on the great issues, to discuss, decide, and act in concert. The need for this capacity had been the great lesson of 1914, when the Second International had collapsed into warring national components. Still, centralism was often misunderstood as meaning as a military command structure. The 1921 breakdown showed the limits of such top-down leadership, limits that were – as Clara Zetkin pointed out at the time – inherent and unavoidable. The contradiction was left unresolved, and a few years later the concept of hierarchical discipline triumphed. This misunderstanding of centralism persists even today. And through all this, working people globally are claiming their own history as part of their struggle for emancipation. Let us all join in pursuing this goal. Talk given to The Capitalism Workshop in Toronto, April 18, 2018.